4. 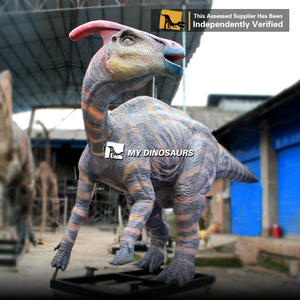 We can produce animatronics with brushless motor and pneumatic system. And We also accept to use designated cargo forwarder to deliver to any port or load container at our factory. 2.Personalization :From design, material usage, function, control method, We apply full personalized service. 1). Our Service We can tailor the design to meet your requirement, such as special size, shape , color, material and accessory etc. We welcome your visiting to our f actory , and we are capable of providing one-stop service for you then. Q: What is the lifespan of your products9 A: For the silicon products, it is about 10 years. 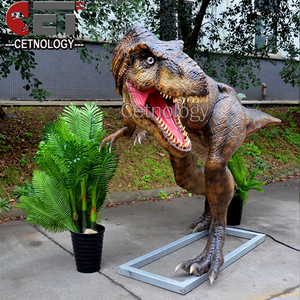 More than 14 years of produce experience; Famous for the carving skill; Best price with high quality; Fully CE and TUV certifications; ODM and OEM are available ; Some of our products have obtained national patent of appearance design! 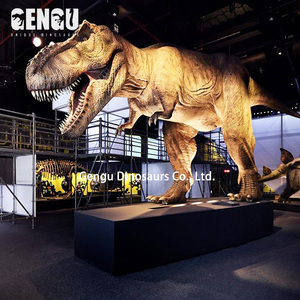 Warranty period three years(remote skill support or other ways) After-sale service 1, free installation 2, Maintenance(machinery & Skin) 3, free technical guidance 4, provide free parts 5, simulation plant if customer needed 6, dinosaur illustration plate if needed Application sites Zoo, Amusement park, theme park, fairground, children's park, exhibition, museum, plaza, and so on. I f you have any needs, pls feel free to contact with me, I&rsquo;ll try my best to help you!
) 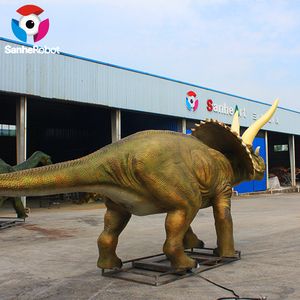 Detailed Images Production Process Drawing &rarr; Frame welding &rarr; Motor wiring & Sensor installing &rarr; Antirust processing & Electrical appliance adjusting &rarr; Backing laying(sponge) & Shape sculpture &rarr;Texture carving & Skin making &rarr; Color painting &Finished products. 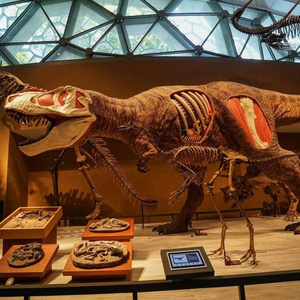 Professional installation team provides site installation service 4&gt; Technical guidance 24*7 hrs online service 5&gt; 24hrs trouble-free continuous functional test before delivery 6&gt; 1-2 years warranty 7&gt; Life-long maintenance service Our Company Zigong My Dinosaurs Culture and Arts Co., Ltd. We have specialized in this filed for 20 years and always dedicated to producing the simulation models in high quality and reasonable prices. 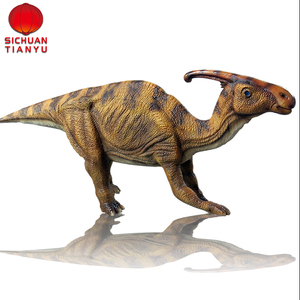 Alibaba.com offers 123 amusement park robotic 3d dinosaur products. About 97% of these are other amusement park products. 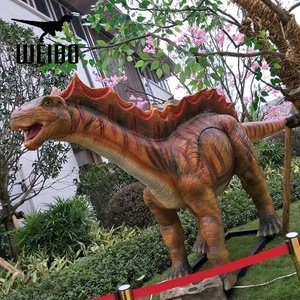 There are 123 amusement park robotic 3d dinosaur suppliers, mainly located in Asia. 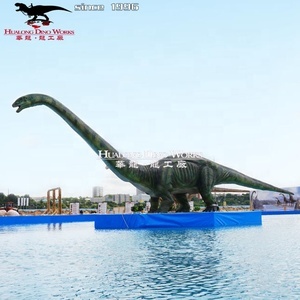 The top supplying country is China (Mainland), which supply 100% of amusement park robotic 3d dinosaur respectively. 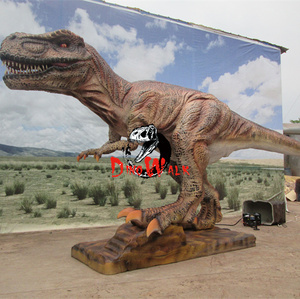 Amusement park robotic 3d dinosaur products are most popular in North America, Western Europe, and Domestic Market. You can ensure product safety by selecting from certified suppliers, including 92 with ISO9001, 37 with Other certification.